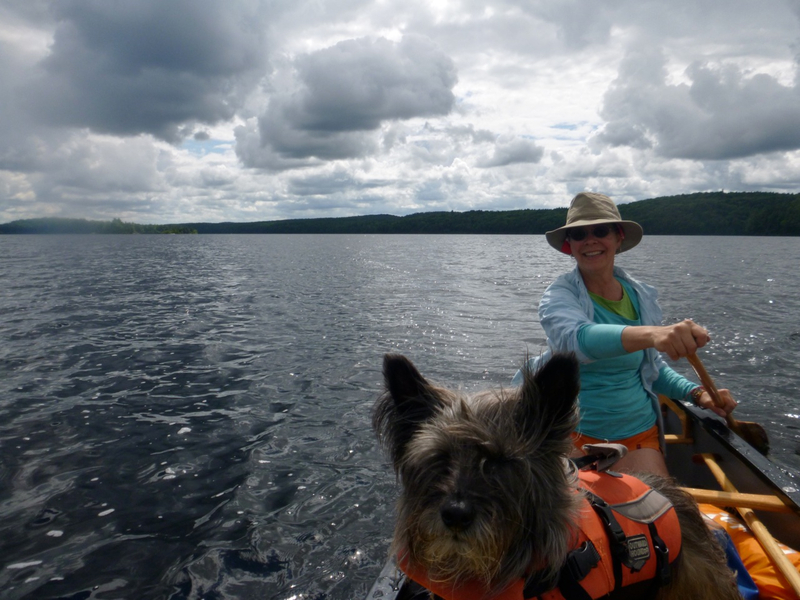 Paddling North Tea Lake, Algonquin with Navigator/Gallery Assistant and all‐round good dog, Angus. 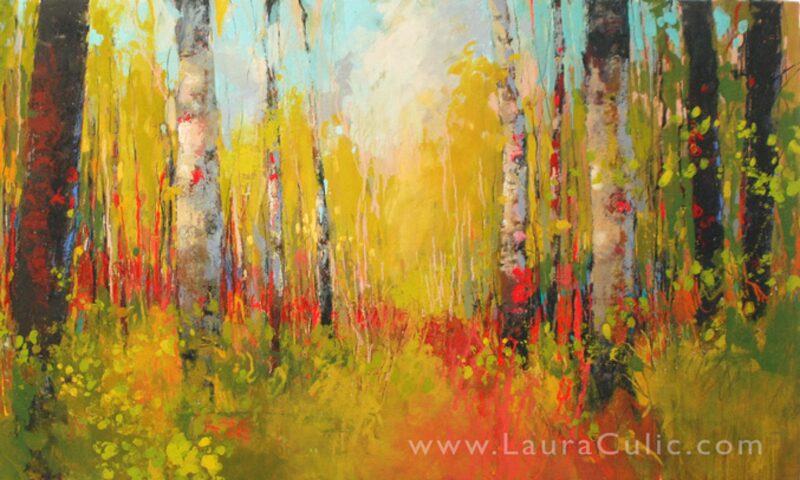 Laura is an award‐winning painter, originally from Toronto, who now paints in her studio in Maynooth, Ontario. Laura completed studies at the Ontario College of Art in 1985 and went on to work as an illustrator , mural painter and fine artist. A professional painter for over 30 years, Laura’s work resides internationally in many corporate, private and government collections including the Art Collection of the Government of Ontario. She is an elected member of the Ontario Society of Artists and a recipient of an Ontario Arts Council Grant. Laura paints with beeswax; either encaustic (hot wax) or with cold wax mixed with oil paint and other media. Her work is available directly from her studio/gallery Black Spruce Art Works in Maynooth; at various juried art shows, and at several galleries throughout Ontario. Awards include Best in Show at the Ontario Society of Artists 139th Open Juried Exhibition, Best in Painting at the 51st Toronto Outdoor Art Exhibition and the David B Milne Award of Best in Show at the Art Gallery of Bancroft 2017 Annual Juried Show. Laura paints full‐time in her cozy northern studio in Maynooth. 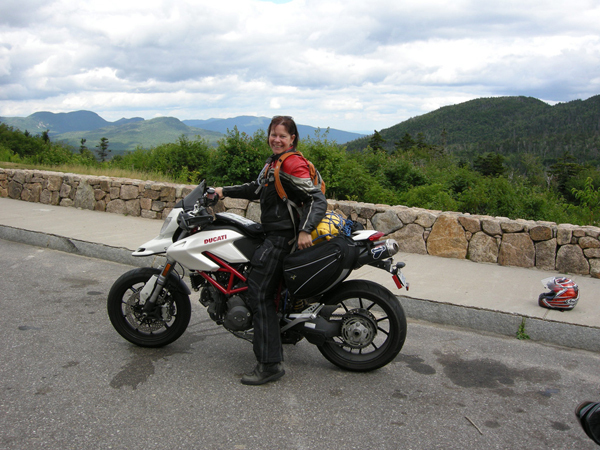 When time allows, she loves to venture away on long motorcycle rides or out canoeing and camping in Algonquin Park.